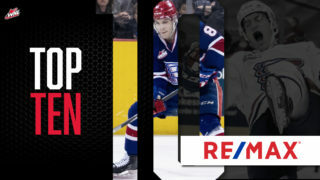 Five Spokane Chiefs were named to the National Hockey League Central Scouting’s preliminary “Players to Watch” list for the 2016-17 season today, as announced at NHL.com. 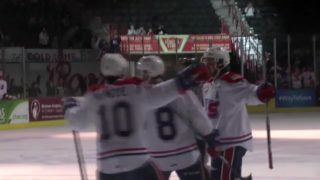 Spokane native Kailer Yamamoto leads the way with an “A” rating with Jaret Anderson-Dolan earning a “B” and three players – Ethan McIndoe, Pavel Kousal and Jake McGrew – earning “C” scores. The list is a compilation of top prospects from all major development leagues throughout North America and Europe. Twenty-nine, including Yamamoto, earned “A” ratings, indicating a potential first-round selection. “B” ratings predict second or third-round picks and “C” indicate players with fourth to sixth-round grades. 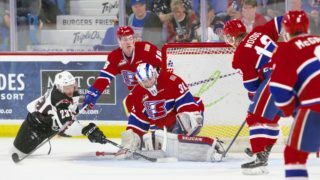 Yamamoto, an 18-year-old winger, has picked up right where he left off from a year ago, earning six points in the first two games of the regular season for Spokane after racking up 71 points in 57 games during the 2015-16 campaign. He competed in the USA Hockey All-American Prospects Game in Philadelphia last month and the USA Hockey National Junior Evaluation Camp over the summer, hoping to earn spot on Team USA for the 2017 IIHF World Junior Championship in Canada this winter. 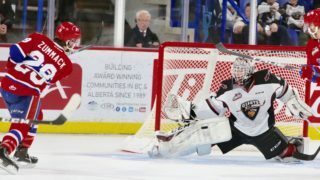 Anderson-Dolan, a center from Calgary, was the Chiefs’ Rookie of the Year last season with 14 goals and 12 assists in 65 games played. He took part in Hockey Canada’s U18 camp earlier this summer. Anderson-Dolan was the Chiefs’ first round (14th overall) pick in the 2014 WHL Bantam Draft. McIndoe, left winger from Camrose, Alberta, scored eight goals and added seven assists in his rookie season and has notched two more helpers in two games this year. He was the Chiefs’ third round (58th overall) pick in the 2014 bantam draft. Kousal, who like Yamamoto has a late birthday pushing his draft year back one year, was the Chiefs’ second round (82nd overall) pick in the 2016 CHL Import Draft. From Jihlava, Czech Republic, the 5-foot-11, 175-pound forward tallied 20 goals and 23 assists in 38 games with the HC Dukla Jihlava of the Czech U18 league, including a stretch in which he scored a point in 11 of 12 games. He added three assists for the Czechs in five games at the 2016 IIHF U18 World Championship in Grand Forks, N.D.
McGrew, a rookie forward out of Orange, California, was the Chiefs’ eighth round (168th overall) pick in the 2014 bantam draft. He has not appeared in a game for Spokane this season due to injury. Click here for the full list of players ranked. 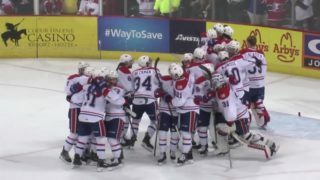 Spokane remains home for their next game on Friday, October 7 versus the Lethbridge Hurricanes. It will be Numerica Magnet Schedule Giveaway Night as the first 5,000 fans through the gates receive a magnet schedule courtesy of Numerica Credit Union. 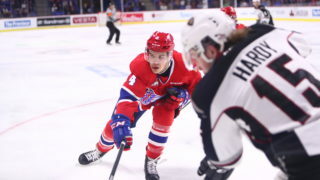 Tickets for October 7 and all Chiefs home games are available at the Chiefs’ Ticket Office at Spokane Arena, over the phone at 509-535-PUCK, or online here.